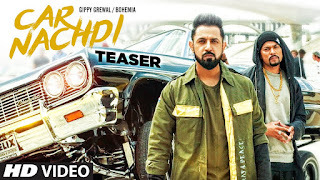 The most popular punjabi singer Gippy Grewal has launched new punjabi video song ” Car Nachdi Official Video Song”. Also popular punjabi rapper has done rap with gippy grewal. This video song has been directed by Baljit Singh Deo and composed by B Praak.